The #metoo movement has swept the world. Last month, that tidal wave crashed into the kidlit community. It started with an article by author Anne Ursu on sexual harassment within the children’s book industry. She conducted an anonymous survey and shared her eye-opening results. Then things really took off with a post by the School Library Journal. I don’t often say this, but the comments are enlightening. The kidlit community is still struggling with how to handle this situation. The Society of Children’s Book Writers and Illustrators (SCBWI) revamped their sexual harassment policy. Abusers have been formally barred from the organizations and conferences. Agents and publishing houses have been slower to drop abusers who they represent and have published, but it is happening. One publisher has even made the decision to delay publication of a book so it could be re-illustrated after the first illustrator was outed as a serial abuser. And women are banding together under the #kidlitwomen movement to take back our industry. It’s a start. But if we’re going to reshape the kidlit community, we need more people acting to make that happen. I’ve considered how I can contribute to #kidlitwomen and support my fellow female writers. My other great passion (besides writing) is science. In a former life, I was a PhD-track academic studying language and the human brain. So looking for answers naturally led to science and what it can tell us about this moment and this movement. It’s jarring partly because the view from the outside is a very loving and supportive community. And from the inside, that is the predominant experience. It’s one of the best communities I’ve ever been privileged to participate in. But predominant experiences aren’t the only experience within our community. Some have experienced harassment, assault, and manipulation. Professional organizations have allowed this to continue for years. Realizing that the mostly warm fuzzy community you love was also hiding predators is unsettling. Cognitive dissonance is the scientific term for this feeling. It’s the jarring sensation you get when you have two contradictory ideas. It’s like realizing your sweet uncle Bob, that always brought you the just-right book to shepherd you through the turbulent teen years, was also a hit man for the mob. It’s upsetting. It makes you question EVERYTHING. Accept the new information and change your worldview. Taking apart your broken set of beliefs and putting them back together is a truer, better way. It’s uncomfortable, but in the end, it’s better. And it’s the only way to move forward. Cognitive dissonance doesn’t have to be a bad thing. Reassessing is a necessary part of life. You might still care about uncle Bob, but given what you now know it would be plain stupid not to change how you interact with him. So in this moment, when our view of the kidlit community has been flipped inside out, take a breath. Don’t resist the discomfort with a “no they didn’t” or “nothing is wrong” or “it’s not a big deal.” Resist the urge to defned or rationalize away what you now know. Then let your worldview shift. Accepting and acting on this newly discovered reality is how we move on. BYSTANDER EFFECT: How do I stop sexual harassment? Ready to take action? Great! You’re determined to be a part of the solution and put a stop to sexual harassment. How do you do that? Let’s start somewhere a little easier. Imagine you’re in a crowded grocery store – everyone is rushing to get food for the next big holiday. And in the middle of a crowded aisle, an older woman trips and falls. She’s sitting there, leaning against cans of corn beef. You’re just as harried as everyone else – you’ve got food to buy, preparations to make, kids whining. Do you stop and ask if she’s ok? If she’s fine, you lose time, look a bit foolish, and maybe embarrass her. Lots of other people are there and none of them seem to be rushing to the woman’s aid. Research says you’ll most likely keep going. It’s called the bystander effect – the more bystanders that see the little woman in the canned-meat aisle, the less each one feels responsible for her. If you saw that same older woman trip on a remote mountaintop it would be obvious that you should act – no one else is around, and she has no other way to get help. But when you’re surrounded by other people, you don’t feel quite as responsible. It’s often unclear if help is needed. The woman may just need a minute to regain her composure. Or she could have had a stroke. She might not be able to call out for help because of her physical condition in the moment. But if everyone is looking and waiting for someone else to act, then no one ever gets around to it. There’s a really simple cure for the bystander effect. Know that it exists and realize that people are unlikely to act. Then offer her a hand up. She may turn it down. She may gratefully smile back, take the hand up then finish her shopping. Or she may be unable to get up or unable to respond. No more ambiguity, call an ambulance. If you need help, single out a specific person in the crowd. Make it obvious that that person, yes, you in the red shirt are now responsible for calling the ambulance. Now you’ve broken through another person’s bystander effect, too. Now imagine that instead of a feeble woman at the grocery, you’re in a crowded post-conference get-together. Lots of those lovely kidlit folk are chatting about their favorite topic – books! – while sipping wine. You notice a man putting an arm around a woman. She looks a bit uncomfortable but doesn’t pull away. Everyone else keeps chatting, unconcerned. She hasn’t pulled away or asked for help; does that mean she’s fine? Or is it like the lady in the grocery store where everyone is assuming someone else will act. Is she trapped by the social situation in the same way the grocery lady might be trapped by her physical situation? Anyone who has given in to middle school peer pressure knows that you can be manipulated by a situation or a powerful person, be they the popular girl, a schoolyard bully, or a sexual predator hiding among the kidlit sheep. Anne Ursu’s survey results were full of examples of situations where women did not feel they could speak out on their own behalf. What to do? Like the lady in the grocery, if you see something, do something. Approach with compassion. Try to ease awkwardness and embarrassment. And if you sense a dangerous situation, get help. Would I be embarrassed? VERY. I would probably be beet red and feel like an intruder, but it’s important. If I misread the situation, they can laugh at me later. But if I didn’t….. I don’t want to be complicit through my lack of action. So you reading this, yes you with the good intentions feeling uncertain how to proceed, step out of the crowd and act. Act when you see someone in need. Act even if you’re not sure help is needed. Act even though you feel embarrassed. Just ACT. TEND AND BEFRIEND: How do I prevent sexual harassment? Long ago, researchers found that people have one of two reactions to threat: fight or flight. So when you stumble into a bear in your backyard, you can either fight it or run away. Tend and befriend is a powerful way of dealing with threats. You can see it in action in many cultures and times. When deforestation threatened the lives of people in Africa, it was women who banded together to replant the trees. In Liberia, women organized after 14 brutal years of civil war and won peace. In the US, women have banded together again and again to create change for women and minorities. A single person may seem to have little power, but when those small actions are put together for a common purpose, they can effect enormous change. 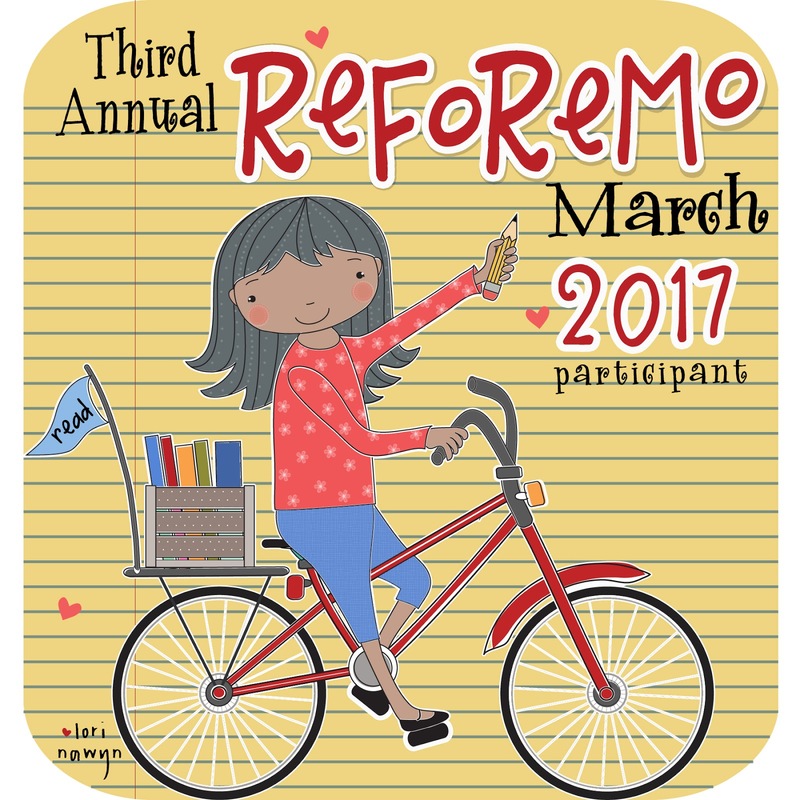 So how can tend and befriend work for creating change in the kidlit community? TEND: First, we need to protect the most vulnerable. That means protecting those that have already suffered sexual harassment. It also means creating protections for those who are more vulnerable such as women who may be harassed by a more powerful abuser. Or women of color who are doubly vulnerable. Acting in the moment is powerful and necessary. Tend to the woman at cocktail hour with the unwelcome arm around her shoulders. BEFRIEND: If we want to effect large change and create a community where sexual harassment is not tolerated, we need to join together as a band of brave women and their allies. We are stronger together, so let’s use that power. As a band of women and allies, we can push the gatekeepers of our industry to guard the gates and keep the harassers out. Agents, editors, conference organizers – we as a group should demand that all these people have clear policies and practices that protect us all. SCBWI has begun that process as have some agents. Perhaps others are doing it behind closed doors. But I won’t assume others will act, it’s too important. I will say something. Throughout the month of March, many women and allies will be sharing their #kidlitwomen stories. Including many ways that we can work together to create a better community for everyone. I will be supporting those people by sharing their ideas and taking action. Be engaged on social media. One voice alone is quiet, many together is a roar that can’t be ignored. Listen and accept that something is broken within the kidlit community. Shift your view to a healthier, truer one. Support one another but especially tend to the most vulnerable in our community. Band together and put all out small efforts together to create a big change in kidlit. A change that makes our whole community a safer place. The #metoo and #kidlitwomen movements are much larger than I can address in a single post. I limited myself to only discussing sexual harassment and how to prevent it. But I could easily have talked about the culture that allowed the harassment to occur. Or about how the system promotes male authors at the expense of female authors. Or how the double-whammy of sexism and racism makes it especially difficult for women of color. Or the role that men need to take to help us reshape this industry into something safer and more equitable for all. I’m leaving those topics to others who are better equipped to speak to that experience. We’re a band of brave women, after all. We don’t need to deliver every message, sometimes it’s enough to pass the microphone. I’ve gathered together some resources so the children (and inner children) in your life can have enjoy the eclipsapocalyse in style. In this first post, we’ll look at resources for learning about solar eclipses. Scroll down for videos and book recommendations. Later posts will cover viewing the eclipse and hands-on eclipse activities. A solar eclipse happens when the moon moves between the Sun and the Earth. The moon blocks the sun’s light and casts a shadow on the Earth. If you’re standing on the part of the Earth where the shadow falls, you’ll see the moon move in front of the Sun and block out the light. It’s a big deal because full solar eclipses are rare. It’s been nearly a 100 years in In a full eclipse the moon lines up exactly with the sun to completely cover it. Around the area of the full eclipse there’s a much bigger area that will see a partial eclipse. The sun and moon don’t line up exactly, but part of the sun’s light will still be blocked. You knew there would be books, right? This book all about eclipses is perfect for younger children. This fun book has a short chapter on eclipses. Perfect for newer readers or as a read aloud to a younger child. My favorite space encyclopedia has sections on eclipses, too. Tune in next time to learn how you can see the 2017 Solar Eclipse. Last year I gifted myself a few days of sloth for the holidays. No projects, no deadlines, and few obligations. For someone who usually runs at full throttle, the downtime was amazing. I read books, watched movies, and enjoyed a much slower pace. After a few days my sloth account was full and I jumped back into the new year recharged. This year I knew it was coming and spent days eagerly planning to be slothful. (How ironic is that?) I prepped myself with a stack of books, a pile of movies, and a knitting project or two. This year I couldn’t fit in days of complete slothfulness due to obligations and deadlines. I did manage a couple of weeks of semi-slothfulness, though. “Waistcoats and Weaponry“(Finishing School book 3) by Gail Carriger – I’ve been tearing through this series as quickly as I can get my hands on it. “George’s Secret Key to the Universe” by Lucy and Stephen Hawking – Yes, that Stephen Hawking. Turns out his daughter writes novels. This is a rare gem – a kid’s book that doesn’t sacrifice good storytelling for good science. Star Wars – We began introducing our kids to the Star Wars movies. It’s important to start your nerdlings on the proper path from a young age. Crash course Astronomy – Yes, the whole series. (Ok, I skipped over a few early ones.) This is big science explained in layman’s terms. Drunk History – I covered a good chunk of this over the last couple of weeks, too. Classic Christmas movies – If I’m honest, though. I had my nose in a book most of the time these were on. Kid’s occupied = reading time for mommy. All in all, I’m calling it successful slothfulness. Now I’m easing myself back into the real world a little more recharged. Hmm. I wonder if I can fit in a Summer Sloth….